Are you interested in taking advantage of the professional services of a dental consultant? Any dental practice doing business today is fortunate, as they have the ability to hire a dental consultant who can take their practice to whole new levels. Perhaps you are looking to make your office management system run smoother. Maybe you feel it is time to make your practice more efficient. Or maybe you are interested in learning a few really important leadership skills. 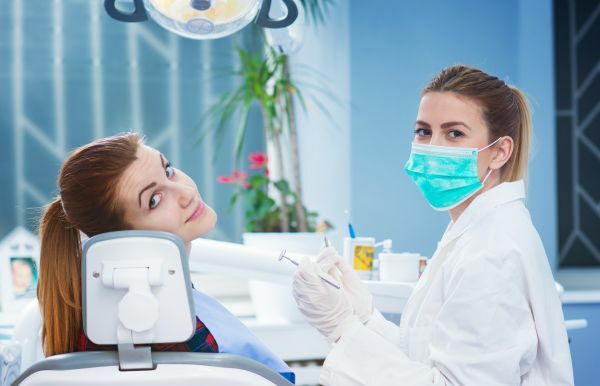 There are many reasons why hiring a dental consultant is a good idea, so be sure to look into all of them as you may opt to choose many of their services. What does a dental consultant do? According to the American Association of Dental Consultants, an experienced dental benefits consultant can provide valuable insight and input regarding provider network issues, dental claim policy and standards of care, dental plan coverage and utilization management. Hiring a dental consultant is a great way to get a professional outsider’s viewpoint on how well a dental practice is being managed. And know that even when the management of a practice is going well, there are still things that can always be improved upon. A dental consultant can be hired to perform a specific task, like making the flow of the office more efficient. Or they can be hired to perform a general overview, after which they will provide a full and complete document of any and all recommended consulting services. The following is a list of seven things everyone needs to know before hiring a dental consultant. Have a least a good idea of what their overall goals are for the dental practice. Often, consultants will specialize in a certain area, making it a good idea to understand what a particular consultant specializes in. What their overall philosophy is, as it is essential that they have specific goals in mind vs. general goals. What their contract options are, i.e. one month? One year? Ready to hire a dental consultant? There truly is no time like the present. If you happen to have a question our team of professionals can answer for you, we invite you to contact us at your earliest convenience. We understand that it is important for you to have all of your questions answered before making a choice and that is why we make ourselves readily available to you. Whether you are looking for a little additional help in a particular area or are in need of a complete revamping of your dental practice, we can help you. Looking for a dental consultant near LA, Orange, San Diego or the Palm Desert area? Call Nickerson Consulting at (888) 811-1408.